Optimally plump and hydrate your complexion with this refreshing gel-cream for normal to combination skin. Apply in the morning after cleansing. Also available in a richer day cream for dry and sensitive skin types. 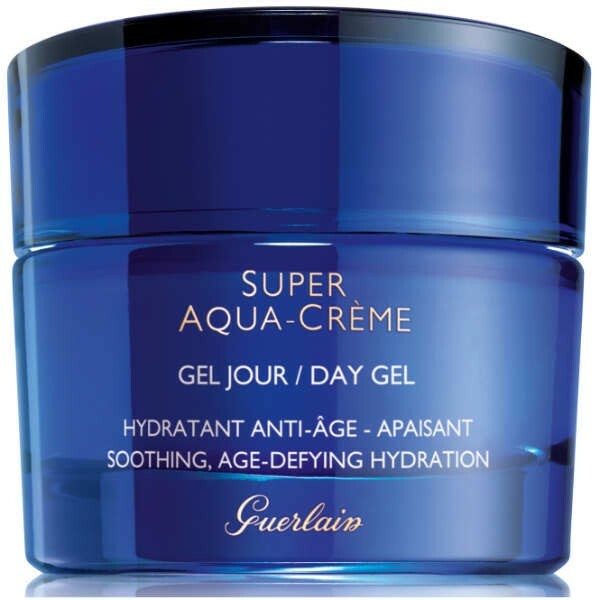 Utilising the powerful Super Aqua Aquacomplex, an age-defying hydration innovation that purifies water in the skin’s cells and improves its circulation, this daily moisturiser helps to restore a more fresh and youthful appearance. Wrinkles and fine lines are smoothed, skin is hydrated for 12 hours, and the complexion is better protected against external aggressions. Added white pine detoxifies and soothes skin that is prone to oiliness, while ensuring it is well hydrated.